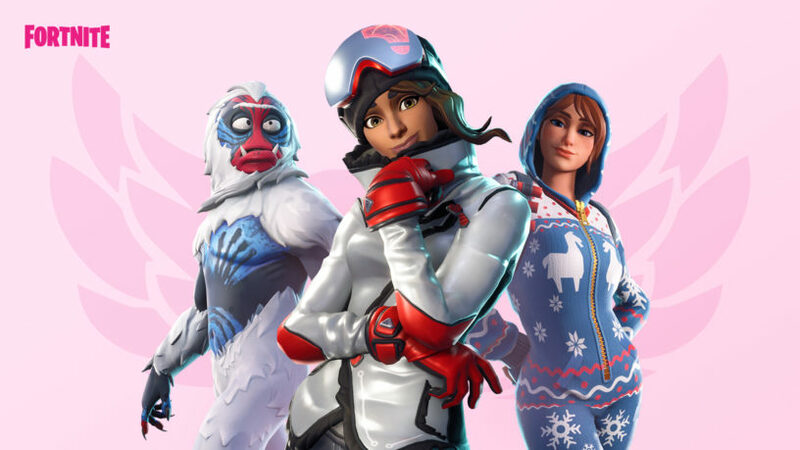 Home » Fortnite » Fortnite Overtime Challenges Guide – Rewards, New Skin Styles! 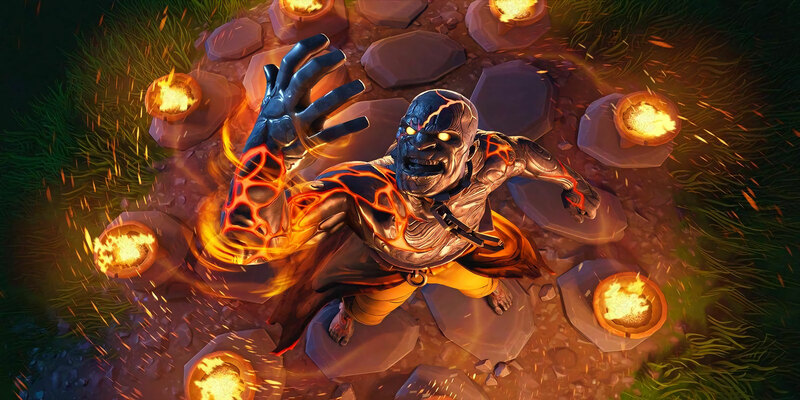 Fortnite Overtime Challenges Guide – Rewards, New Skin Styles! We're taking a look at the upcoming Valentine's Day celebration and the Share the Love Events new Overtime Challenges! Our Fortnite Overtime Challenges Guide will walk you through everything you need to know about the event! We have a full list of the challenges, as well as all of the solutions and a look at the rewards you will earn if you complete them. These challenges have turned out to be pretty important because if you complete 13 of them you'll get the Season 8 Battle Pass for free! You read that correctly, even if you don't have the Season 7 Battle Pass you can earn yourself a free one and get yourself some skins if you haven't had the money to purchase one in the past. This is a pretty nice promotion by Epic, we hope to see more stuff like this in the future. The Overtime Challenges were released on February 14th, 2019. You will be able to earn unlockable styles for Trog, Powder, and the Onesie skin by completing some of these challenges. If you don't have a Battle Pass, you'll still be able to participate! Some challenges are available to everyone, and you can earn the Valentine Wrap, Vines Contrail, and a couple of Loading Screens! 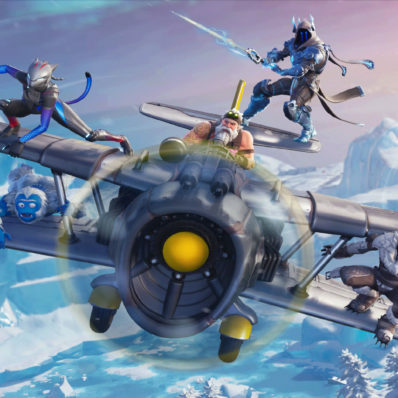 You can check the new styles of the skins out below. 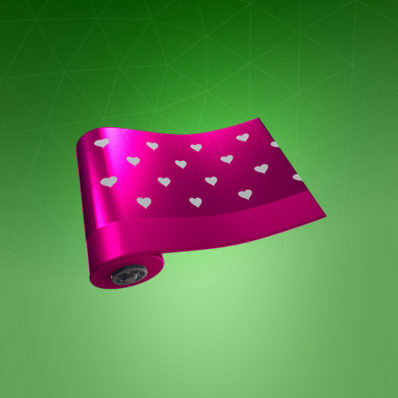 We've got a look at the Valentine Wrap, we'll be adding the other cosmetics you can earn soon. 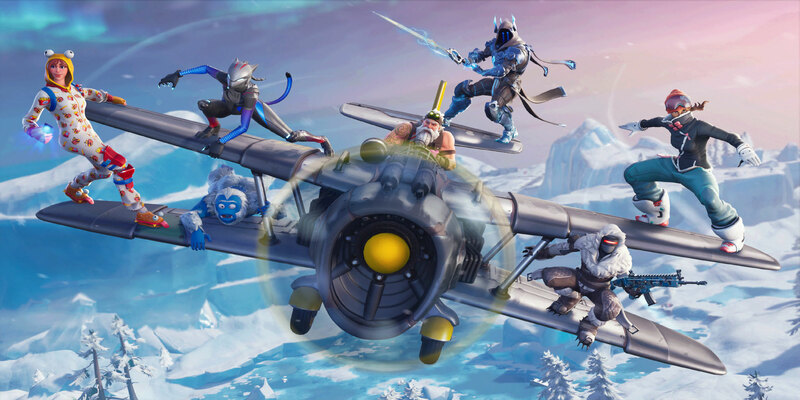 It looks like there will be two loading screens and the Vines Contrail. Here's a list of the currently available challenges! This is the complete list, be sure to complete them for the free battle pass! If you do 13 of these Overtime challenges you'll get the Season 8 Battle Pass for free! Once we have the information on these new challenges, all of the solutions and a cheat sheet with the answers will be listed below! Head on into creative mode and hover over any of the featured islands. Under the title of the map, it will tell you if it has coins and how many of them. Enter any of these, and grab however many coins as you can find. If you are struggling, you can restart the map and recollect the coins you already collected and continue that process until you hit 15! If you are confused, check out the video below. This should be pretty easy, just grab an assault rifle and shoot people with it! 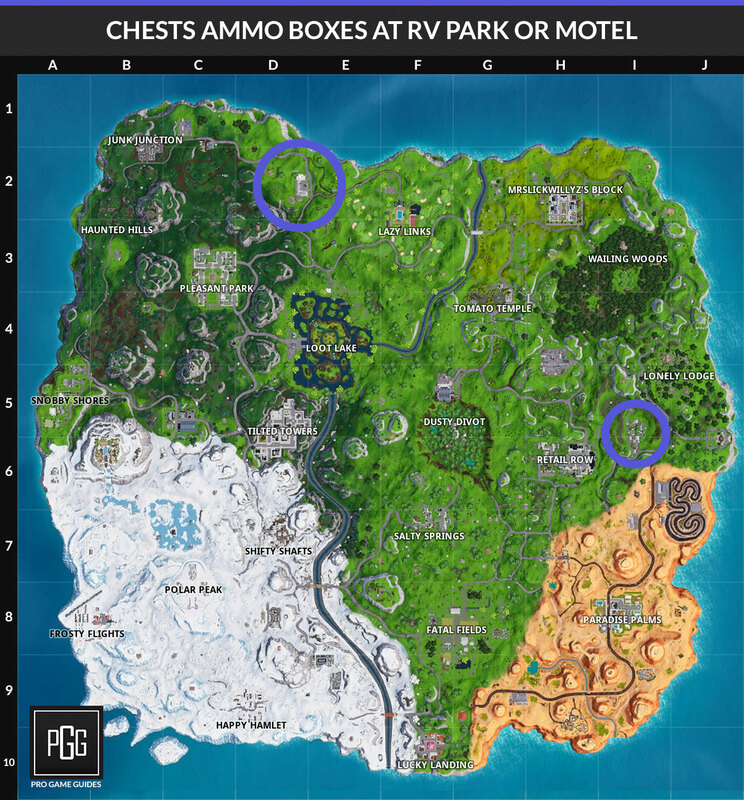 Head to either of the spots shown below and gather up as many chests and ammo boxes as you can! The best way to do this is grab a friend and head to the furthest part away from the bus path. Go hide yourself and wait for your team to enter into the top 15. You can then eliminate yourselves or play out the match. You will have to do this three times! There's a ton of campfires around the map now with the environmental ones being put in the game recently. 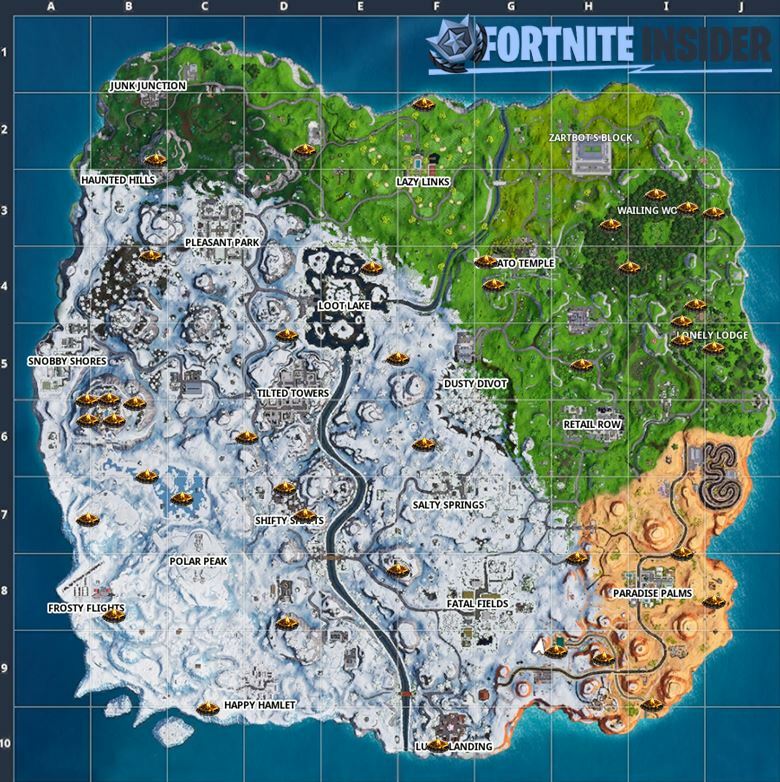 Here's a map below to their locations, credit to Fortnite Insider. Travel around the map visiting different named points of interest. Grab a plane to do this quickly! This one could be potentially annoying, you usually see a lot of Supply Drops in LTMs though. You might want to try playing those and seeing if it works out for you. Another good one for LTMs, but just join a random squad and you'll probably be able to do this one relatively easily. 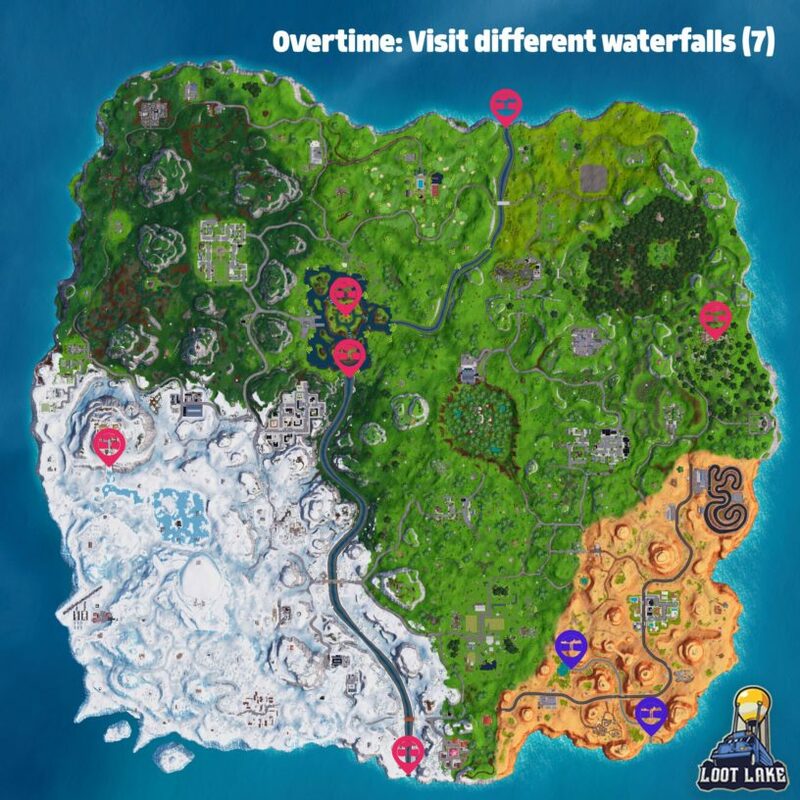 Here's a map to find the different waterfalls, credit to @LootLakeBR on twitter. Pretty easy one, just use these weapons specifically to get it done. This one could get a bit difficult with a lot of people landing there, but doing this in an LTM is going to be your best bet. Find some good players and make friends with them, or just find a friend to hide with in the bushes. If you are desperate for a friend, you can always create an alternate account on your phone and then jump in the game with that account. This will be enough to complete the challenge! Driftin' is the LTM with Driftboards in it. Just jump into three matches with a friend! This should be really easy, you'll just need to burn through the matches. 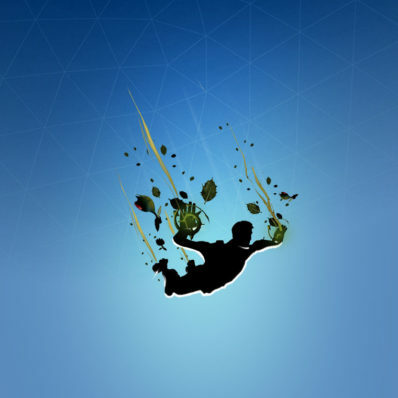 You can thank the bus driver by hitting the emote button. The racetrack is in the desert biome to the east, and the dance club can be found to the north west of Lucky Landing. I might wait a bit to do this one because I think a lot of people are going to try sitting in bushes to wait this out. If you aren't a high skill player, then that's probably the best way to knock this one out. I just completed 13 challenges but it says that I only did 13 one the battle pass challenges what does that mean ? What do we bet’s not coming. I bet the Driftin one! I’m working on that actually, I hope to have something on the site soon. cool but do you have a date? or around a date? Sorry, don’t have a date. I wonder if doing these challenges counts as weekly challenges (zenith lynx styles) though i already fully completed there challenges. They’re still not out and how will we ever have enough time to do them?! I’m sure they will extend the amount of time we’ll get to complete them due to the delays. Not sure yet, I hope so. 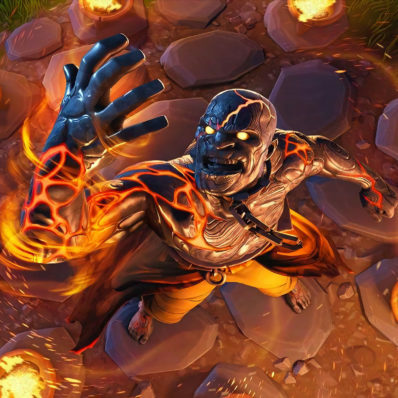 That’s his fav skin. Your opinion isn’t a fact. That’s not clear yet, I hope not! I have done all the weekly challenges! When will they drop ?